Plymouth based C&P Plastering have taken part in a year of fundraising for Children’s Hospice South West (CHSW) and recently handed over a donation of £195.90 to the local children’s charity. Throughout 2018 the plastering company held fortnightly bake sales, led by a different employee each week. Delicious bakes were made, packaged and then sold to operatives and clients and made their way across Devon and Cornwall. 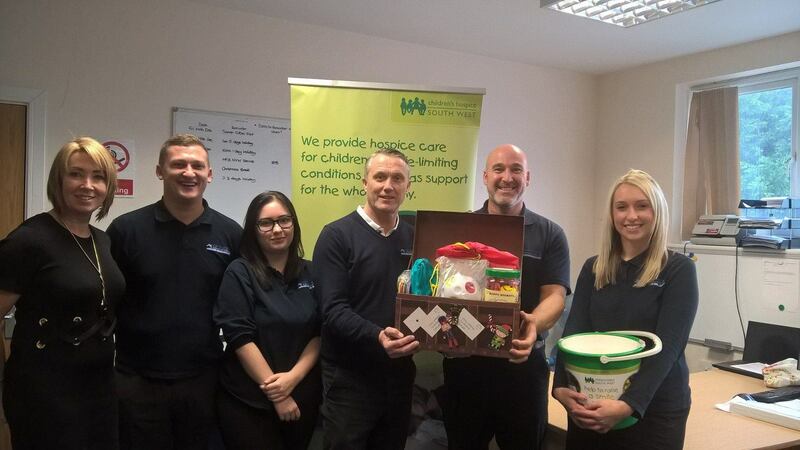 At Christmas employees also donated sensory toys to the charity to be given as gifts to the children. The company chose to support CHSW due to one employee having a close personal connection to the charity. His friends had received support from CHSW when their daughter was unwell and sadly died, however the support they received by the team at the children’s hospice helped them through an extremely hard time. C&P Plastering’s year of bake sales was brought to a conclusion at Christmas where all staff members worked together to bake Christmas themed goodies as a final effort to boost funds raised before Christmas. “The charity bake sale has been an amazing experience, to put our efforts towards such a great cause and to have it raise awareness and funds for a worthwhile charity has been extremely fulfilling. We look forward to future opportunities to work with Children’s Hospice South West once again” said Kiera Sandford, Trainee Administrator at C&P Plastering. If you want to find out more about the various ways that your workplace could get involved with fundraising for Children’s Hospice South West simply visit click here or call Sarah on 07966 264369.